Fundamentally, Squirrly is an SEO plugin, but is not an alternative to the popular Yoast. It can be used alongside Yoast to provide you with a superb SEO system to help your posts get ranked highly in Google’s search engine index. The Squirrly SEO plugin looks after the search engine optimization of your blog pages and posts. You need a basic understanding of SEO to manage a blog. Many bloggers have less understanding of what search engine optimization is than they need to be successful. Even if you do think you know all about SEO, you may not be up to date with changes made to Google algorithms and search parameters. Many of those who believe they know all about SEO, and how to optimize their blog, fail to keep up with the changes made by Google, Bing and other search engines. So, what does the Squirrly SEO plugin for bloggers offer? This Squirrly review will clarify what this SEO plugin is about, and explain how to use it to meet the needs of Google, Bing and other search engines. Here are the main benefits of using the SEO plugin by Squirrly on your blog. 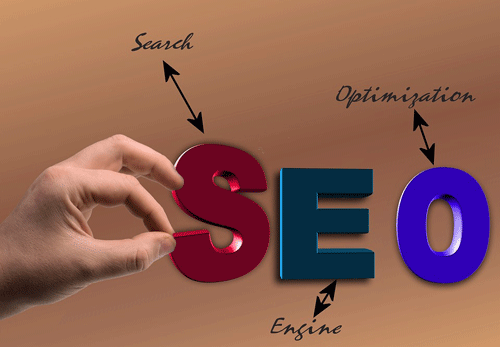 We start with SEO and its importance in getting your blog posts published and read. Search engine optimization is an important aspect of any form of online publication. It helps your individual web pages or blog posts to be found by people using search engines to retrieve information. It is not our intention here to discuss how search engines scan web pages and blog posts, index them and then present them to those seeking relevant information. However, it is important that your post is search engine friendly, and there are ways of achieving that. 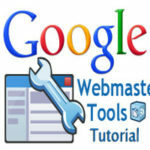 We are using Google as an example because it is the most widely used search engine worldwide. Google looks at titles and content and established their meaning using a semantic analysis algorithm. In simple terms, it reads your posts and indexes them according to their meaning. You can help Google do this by using a selection of keywords that tell Google what you are writing about. If you overdo this and use keywords too often, Google will look upon that as spamming and will not list your post. Your writing should be natural with keywords used only where appropriate. Squirrly helps you achieve that and avoid repetitive keywords in the description and text of your post. Here is how Squirrly helps your SEO and your writing look natural and attractive to search engines. First, you need to choose some keywords: words that relate closely to your niche! Squirrly helps you do this with its keyword suggestion tool. You will see a box where you enter your main keyword. 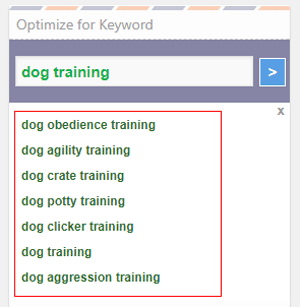 Simply enter your keyword(s), such as ‘dog training’ and you get a list of keywords related to dog training. It’s good for hunting out long tail keywords commonly used in your niche. You also get a list of blog posts using your keyword. If you check out these posts, you will find what others are blogging about your keyword. You can find your main competitors and check out their sites and blogs. If you understand what your competitors are doing, then you can choose to do the same or do differently! The Squirrly plugin for bloggers helps you do this! Squirrly can be run alongside Yoast SEO to maximize the optimization of each post. The Squirrly SEO plugin for bloggers makes sure that the keyword you choose from the list is included in the URL for your post. When someone interested in dog training uses the keyword in the URL of your post, Google highlights that keyword in its listing description. This attracts the eye which improves your click through rate (CTR). The developers of Squirrly have created a video showing you some of its main features. You can access that video and learn more about Squirrly on YouTube by clicking here: Squirrly Review video. NOTE: we have directed the video to a new page so you can switch between this review and the video as you wish. As you write your post, Squirrly checks what you are writing and whether or not it is optimized for the search engines. Your text will turn green if it is sufficiently optimized for your keyword. If it doesn’t turn green then check it out and rewrite it till it does. Once you are happy with your post, then post it! Squirrly then provides performance analytics on social media. It also lets you know how your posts are being ranked by Google. This takes time, and it can be some months after posting before you see any results. One important property of Squirrly is that it will never overwrite your own SEO settings. Here are the most important aspects of on-page SEO you must be aware of. Ignore these and your rankings may plummet. Many people do not pay enough attention to the title of their blog post. The title should catch the eye and relate to the post content. The title tag is important: it is displayed on your Google search result and many searchers choose whether to click or not according to how it catches their eye and how relevant the title is to their search. Squirrly makes sure your title contains the main keyword for the post and is of the correct length. Some people use a keyword too often in their title – that can be worse than having no title at all. Google punishes keyword spamming and regards it as an attempt to influence listing positions. Bing highlights keywords in the Title of a listing just as Google does in its Description. This improves your CRT. The content of your post must also be optimized correctly. Excessive use of keywords will result in a low ranking in search engine results. If Google thinks you are trying to game its algorithms in any way, then you lose position in the search results for your niche, or even not listed at all. 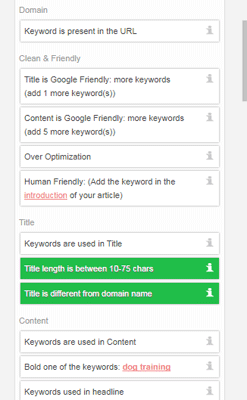 Squirrly keeps your content writing friendly to search engines. It makes sure you use your keyword in Headers and body of the post in a natural-looking way and not contrived. For example “How to Improve Your Dog Training Skills” and not “Dog Training and Dog Training Skills to Train Your Dog”. Squirrly makes sure your keyword density is correct and looks natural. Keyword density is the percentage of a keyword used in the text. A good keyword density is 1% – 2%, or you could go to 3% at a push. That means between 5 and 10 uses of the keyword in a 500-word post. You could use 15 if your keyword is small or of just one word. Squirrly will keep you right with keyword density. 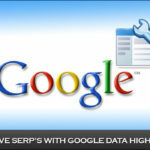 It ensures you use H (heading) tags properly and that your keyword density is good. It also ensures that one of your keywords is in bold format – all of this helps you with ranking points. Squirrly also checks that one keyword is present in the first sentence and the last paragraph of your text. Squirrly alerts you if your images do not contain the Alt tag. This tag presents itself to viewers that are unable to resolve your image. Rather than displaying the image, their screen displays the contents of your Alt tag. This should describe what the image is about – and it should contain your target keyword for the post containing the image. You can insert Alt tags in your WordPress Media page. This page also enables you to add a title and description to your image – all good SEO. The Squirrly SEO plugin for bloggers compares your domain name and keyword to ensure they are not the same. Many people like their domain name to include their keyword, but this is not always a good idea. It might be good for a one-page website, but not for blogs. As mentioned earlier, Google is hot on detecting keyword spamming. If you have a domain name that contains your keyword, then you are in danger of creating spammy web addresses. 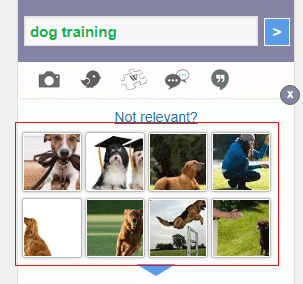 Let’s say your keyword is ‘dog training’ and you register your domain name as dogtraining.com. You then write a few posts or web pages on the subject. You create web addresses such as www.dogtraining.com/dog-training-methods. Now look at your URL: ‘dog training’ appears twice. Google looks on that as being keyword spamming. 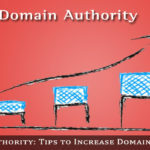 Use a domain name that relates to your blog in general terms, but that does not use a keyword you will be using in your posts. Something like ‘dog-matters.com or even doggydiscipline.com – think of something appropriate to your blog. Squirrly offers many more features that can help you rank high in Google for your keywords. The Squirrly traffic light feature gives you a red, amber or green indication of the optimization of your posts just as Yoast does. However, it goes beyond Yoast with many of its features and options. Give it a free trial with five posts and check it out yourself. If you write only five posts each month on your blog, then you get Squirrly free. Even if you write five posts a day, give it a try with five and check it out. Make sure you read this Squirrly Review again, then start optimizing! This review of the Squirrly SEO plugin for bloggers explains the more common features of Squirrly and how you can use them to help you attain the maximum Google ranking for your blog posts. It will also help you gain good listing positions in other search engines such as Bing, and to lesser extent Yahoo – which is more of a web directory than a search engine such as Google. Squirrly and Yoast can run together. However, it is important that you understand what you are trying to achieve when using Yoast. By combining the power of Yoast and Squirrly together, it should be possible to publish a perfectly optimized post or blog page. Then it takes only personal presence to get it all as right as it can be –that is up to you! SEO is the backbone of every site. SEO changes over time and one needs to continually research to stay ahead or risk sinking. This is exactly what I do to stay in the first page most especially with good and quality keywords.